"Learn yeokhak online to be a specialist"
'Juyeok' and/or 'yeokhak' (I Ching in Chinese, The Book of Changes in English) is a group of theories relating to astronomy, astrology, the Four Pillars of Destiny (time, day, month and year of birth) practiced from ancient time. The studies developed to include the principles of ethics and philosophy later on and many people living today are still seeking an advice or two regarding their business contracts, job or marriage from the specialists in the field like our ancestors did the same from the so called 'fortunetellers'. While the number of these specialists in the field seems to increase nowadays as we can see many of them on the street vendors, Daetongin, located in Dangsan-dong, Yeongdeungpo District, Seoul is attracting a special attention. Opened in 2016, Daetongin (a lifelong learning center for yeokhak) offering professional yeokhak courses for people to learn about the art (broadly including the Four Pillars of Destiny, taro, geomancy, vein of water, physiognomy, palm reading and constitution, etc.) through 20 specialists in the fields on remote learning-based (online video lectures). You can see the lectures anywhere anytime as long as your device is connected online. Or you can buy the USB containing the lifelong learning materials for more convenience. "Yeokhak is the matrix of yin and yang theory that enlightens us about the truth of our lives. We launched Daetongin with our communal goal to spread these valuable studeis to more people but in more accessible way" said Ahn Jo-young, CEO of Daetongin. You can arrange a face to face consulting online for 24 hours on the courses and on careers after the completion of the courses; the system helps you to open your own online fortunetelling services. Thanks to this down-to-earth support system, many students of Daetongin are the retirees or soon-to-retire. "Daetongin obtained a license to train and issue private certificates (educational instructor grade 1, 2 and 3) from the Korea Research Institute for Vocational Education & Training affiliated to the Ministry of Culture, Sports and Tourism, and the Ministry of Employment and Labor for the first time in the field. So the first nationally approved private certificate exam on yeokhah is to be held December this year. The certificate entitles you to give lectures at lifelong learning centers or to run your own business nationwide." Yeon Tae-hee is the director of Daetongin Lifelong Learning Center. He was a lieutenant colonel and mastered the Four Pillars of Destiny by self-leaning after retirement with a good will to give spiritual support to his family and acquaintances. 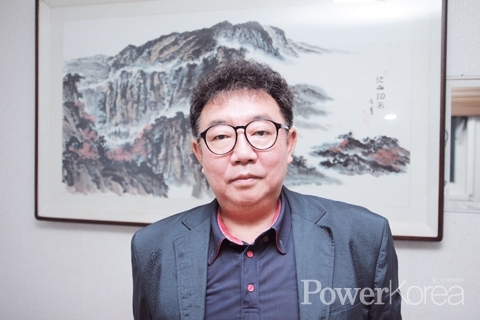 Yeon re-illuminated the values of long time forgotten theory of the Four Pillars of Destiny and developed a new methodology to make a harmony between the traditional and modern theories called 'Soam Theory'; soam is his penname. The theory of the Four Pillars of Destiny is divided into the one which practiced among aristocrats and the other among the blind. The former is scholarly while the latter is practical. Yeon adopted the latter and gathered the merits of the practice to introduce his own 'Soam Theory' which gives instant Q & A. Both CEO Ahn and Director Yeon are like-minded to promote yeokhak and the Four Pillars of Destiny to be a widely studied major at universities one day so that more people can benefit from these excellent studies while the industry specialists also pioneer their way up to professors and renowned lecturers in our society.